Mark a place in history! 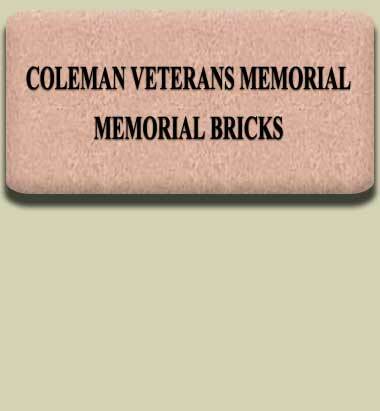 Become a permanent part of the Coleman Veterans Memorial by purchasing commemorative brick pavers to be displayed in the court yard of the memorial. Join our many supporters from around the United States who have purchased these brick pavers to honor a loved one or a friend who has served our country.